I decided that I would make my own salad mix. I really don't need the little packet of dressing or even some of the add ins, as I typically have those things on hand. I chose veggies for my salad mix that had a long life once they are cut into. 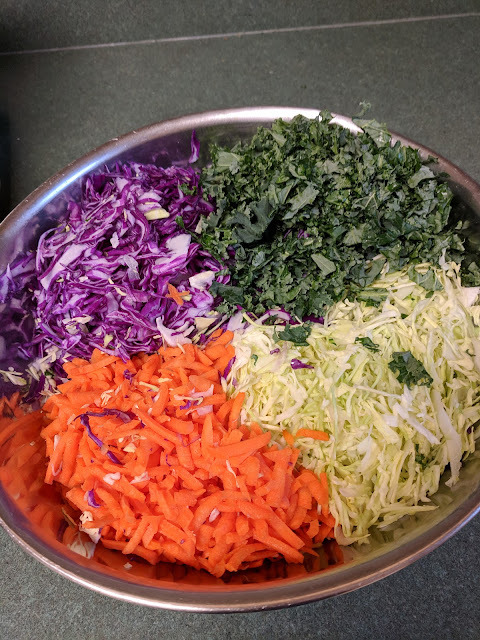 A lot of veggies deteriorate quickly once they are cut and sliced. What I've come up with has lasted in my fridge an entire week. 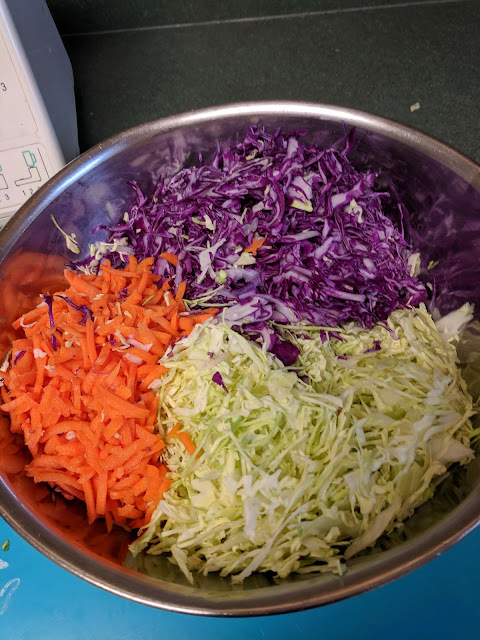 I do a bunch of cutting and slicing and grating once a week and the majority of the process is done. 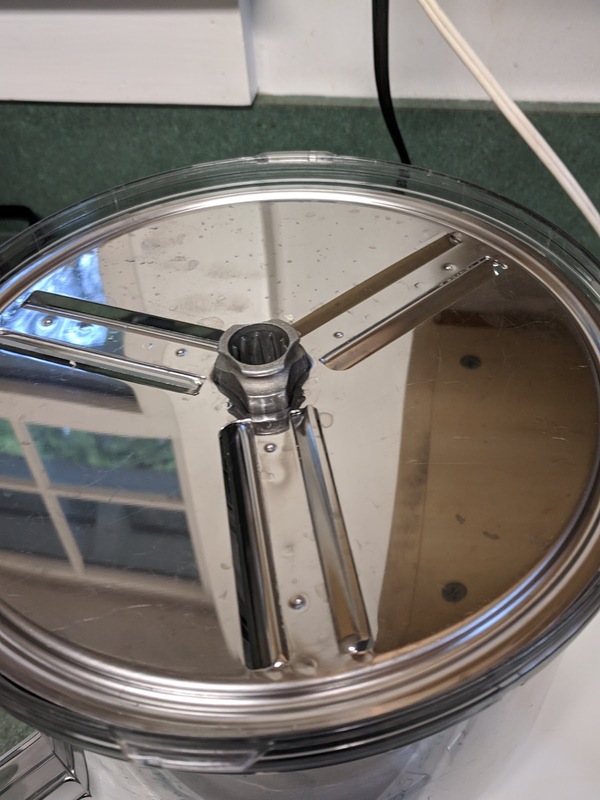 It takes me about 15 to 20 minutes to do this. Once in a while I will add grated fresh beets to this mix as well. The process is simple. I use my food processor. 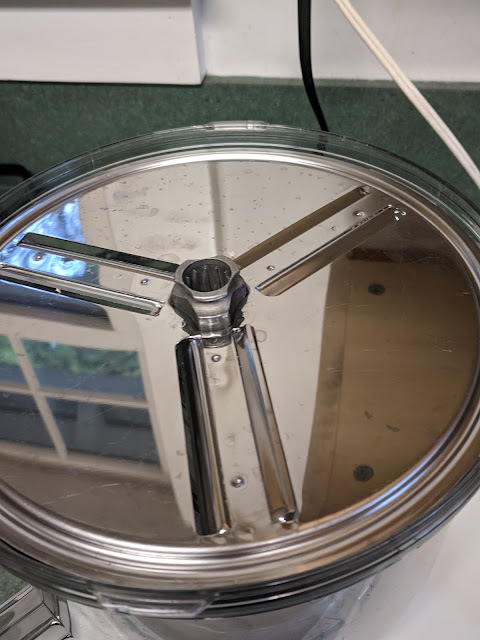 If you don't have a food processor it will take longer to do this. The amounts of each of these veggies is really up to you. 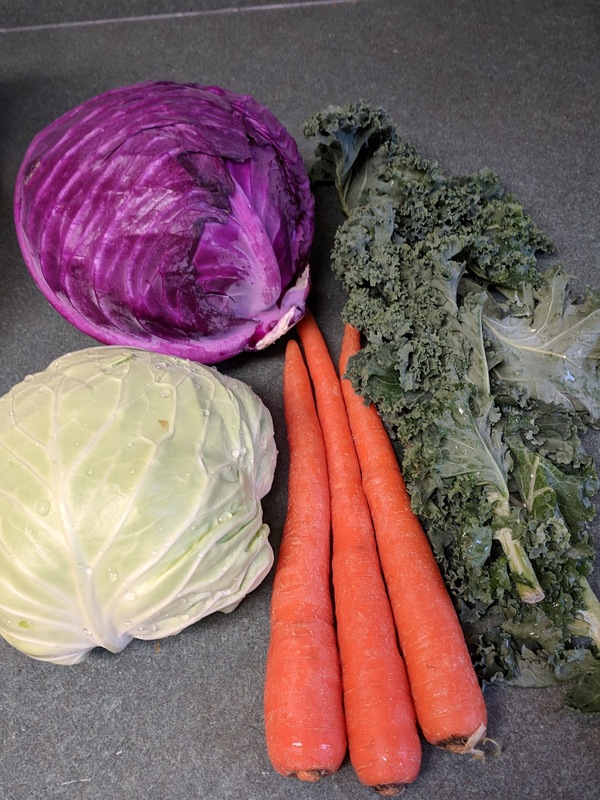 I usually do about 1/3 to 1/2 of a green cabbage, 1/4 of a red cabbage, 3 or 4 large carrots and 2 or 3 large leaves of kale. 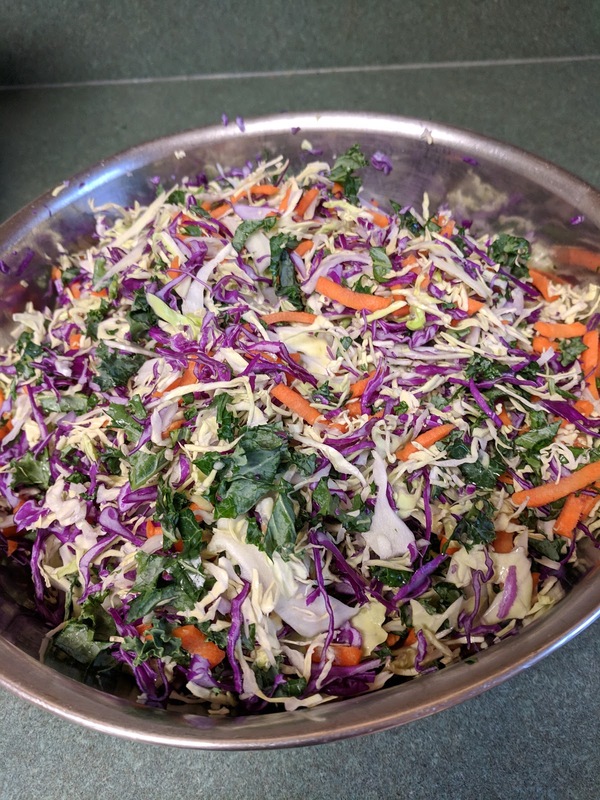 If this would be more salad then you would eat in a week, feel free to reduce the amounts. It's not a "recipe" in the sense that you need to follow a certain amount of the ingredients. It's more of a process that I'm sharing, so you can vary it according to your own needs. 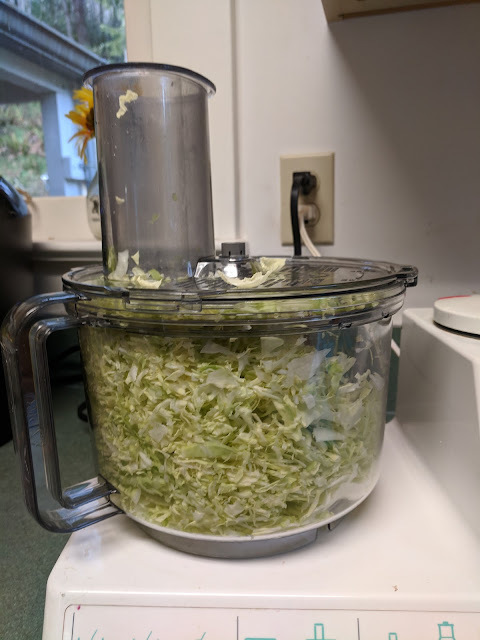 I start with the green cabbage and using the slicing disk on my food processor. 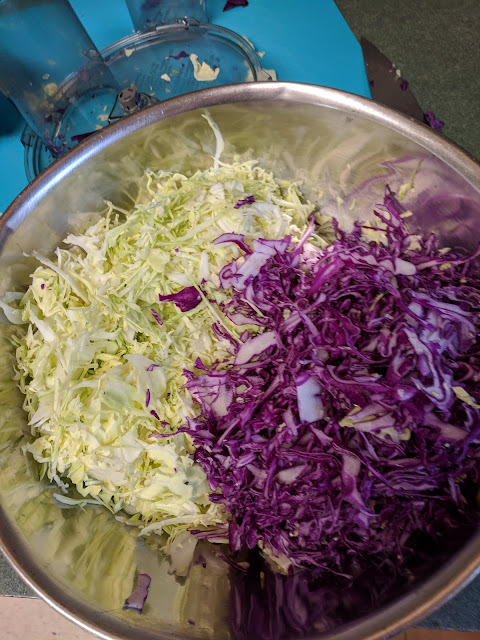 I slice the cabbage and put it in a large bowl. Next I switch to the grating disk on my food processor and grate the carrots and add those to the cabbage.. 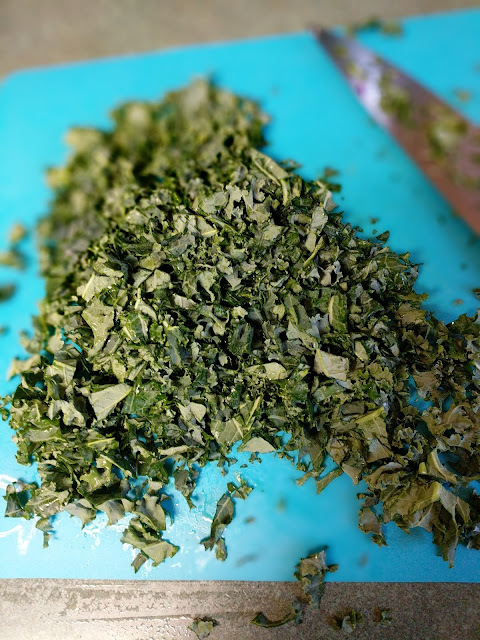 Finally I remove the stem from the kale leaves and chop it as finely as possible, and add it to the bowl.. I store this covered in the fridge. Here is how I use it.. 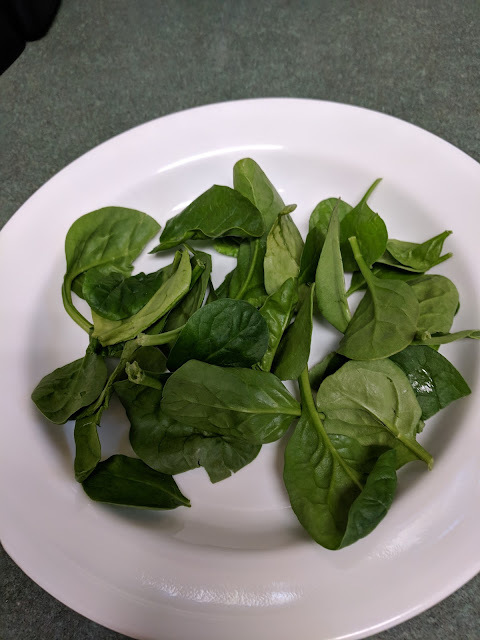 I put some greens on my plate (spinach in this case, but you can use whatever type of greens you like)..
At this point you can be done if you want, but I usually will add a few extras. If you want to make it quick you can add grape tomatoes, sprinkle with a few nuts, a couple olives, a few craisins and maybe a bit of parmesan cheese.. super easy! 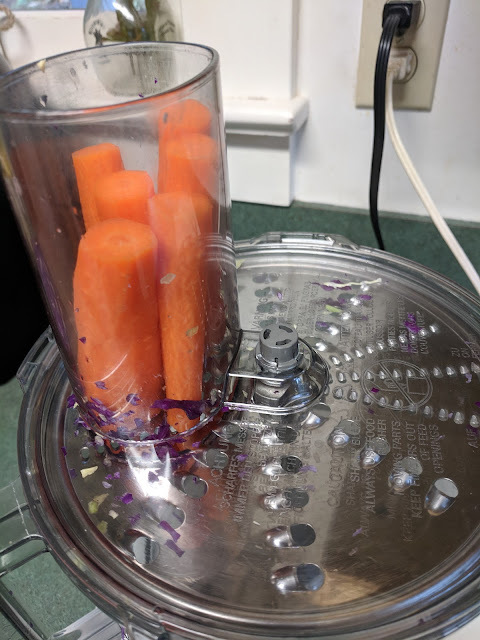 I will usually add a couple more veggies when I serve. 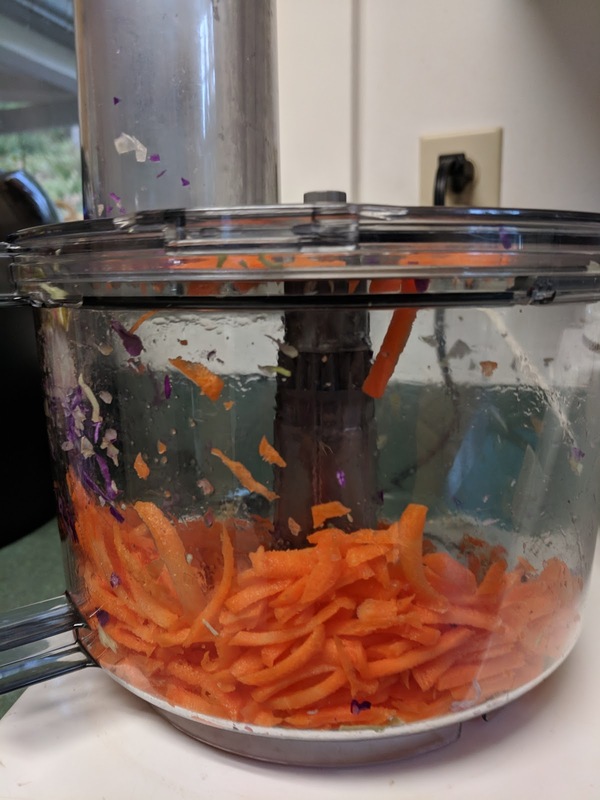 If all I have to do at a meal is slice a couple veggies it doesn't take long at all.. 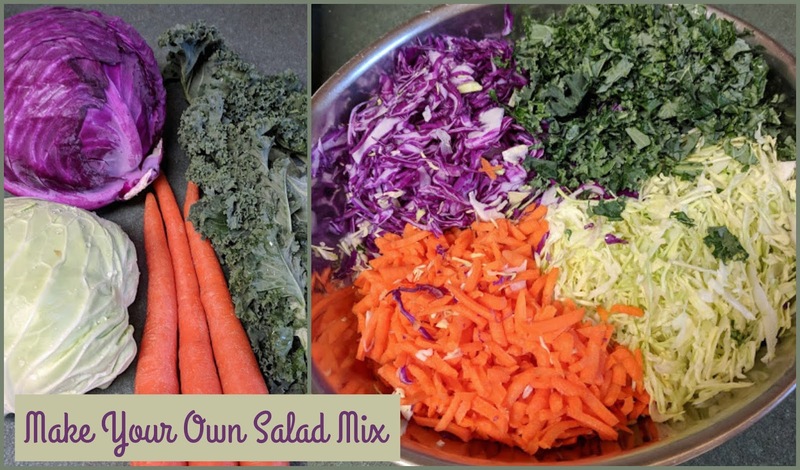 I also use this salad mix in other ways. If I'm stir frying up veggies I'll add a generous amount of this to the frying pan. I have added it to soups and even used the mix on sandwiches and wraps. It's very versatile. I love this because not only does it last several days (If all your veggies are super fresh it will last a week or more), make salad making super easy, but it's so much more frugal than the prepackaged salad mixes. 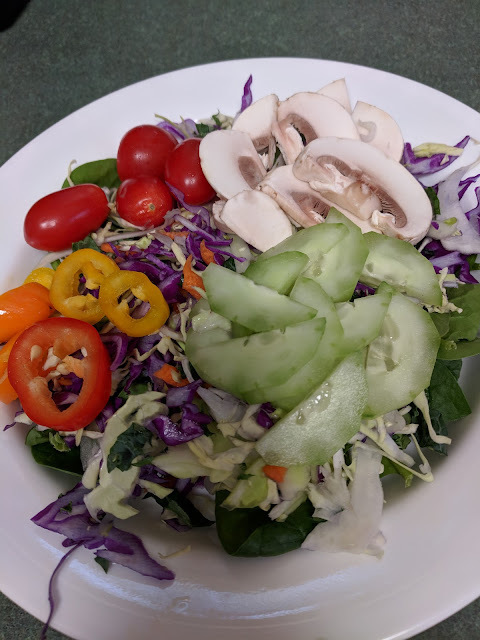 Thank you for sharing your special salad prep. Am going to start it here today. 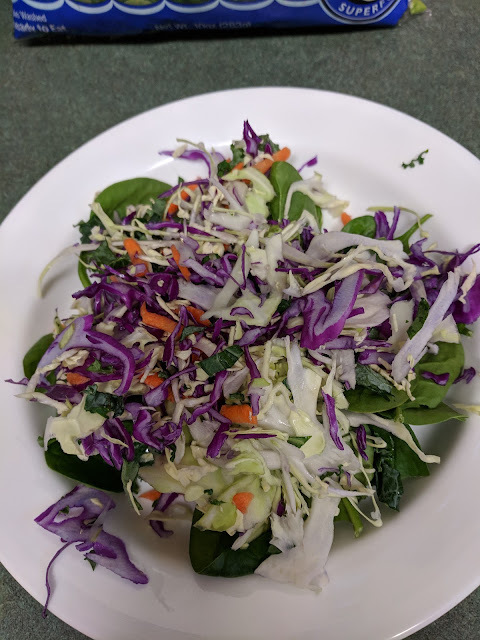 My husband is always eyeing those salad kits at Costco - now he can easily take salads for his lunch at work.